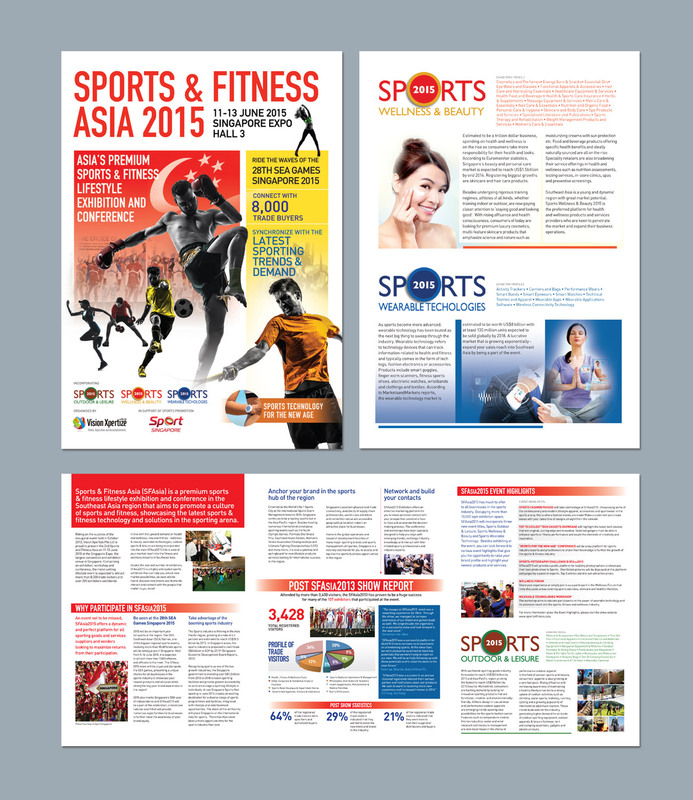 Sports & Fitness Asia 2015 was Asia's premium sports and fitness lifestyle exhibition and conference that is held in Singapore. To ride on its inaugural success in 2013, its organisor Vision Xpertize had pulled out all the stops to make the 2015 show an even bigger and engaging one for visitors and exhibitors. EC was given the challenge to produce the central communication piece to kick off the whole show. With a broad framework to cover, we managed to produce both the editorial and the design within a month.